Election security is on everyone’s mind in the leadup to November’s midterm elections. Although a measure to provide states with an additional $250 million to upgrade their voting systems recently failed in the Senate, many state officials are still working hard to adopt new security protocols and ensure the integrity of their upcoming elections. 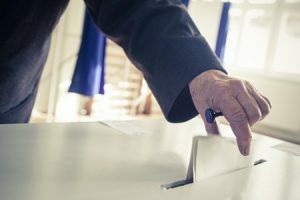 Replacing outdated voting machines is a key component of election security, but it’s not the only strategy states are using to make their elections more secure. Earlier this month at a national conference of secretaries of state in Philadelphia, attendees outlined several different steps they’re taking to secure their states’ voting systems in preparation for the general election in November. 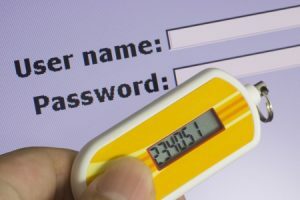 In Minnesota, for example, officials are rebuilding their voter registration system and adding multi-factor authentication to make it harder for hackers to access. This means that, in addition to a password, users will need another form of authentication like a randomly-generated code to access the state’s voter files. Colorado, which has gained a reputation for having some of the most secure election infrastructure in the nation, has added multi-factor authentication to its voter files as well. When these voter registration systems aren’t adequately secured, it can allow hackers to steal personal information about voters that could potentially be used to sway an election. A number of states are utilizing advanced auditing techniques to verify their elections results as well. In Rhode Island, Indiana and Colorado, officials are using “risk-limiting audits” which are faster, less expensive and more accurate than traditional audits. Risk-limiting audits use sophisticated statistical methods to reliably confirm vote counts from very small sample sizes. In 2016, Indiana used this auditing method to confirm that Democratic nominee Hillary Clinton won Indianapolis with a sample of just 61 ballots. But because risk-limiting audits require new training and equipment to conduct, only a few states will be ready to use this method in November. Meanwhile, in Washington, the secretary of state has partnered with the National Guard’s cybersecurity unit to train election officials on how to identify security threats, test firewalls and respond to cyberattacks. “We don’t want the military to take over our elections, but they have resources that will make our elections stronger,” said Washington Secretary of State Kim Wyman. This partnership has been especially beneficial in small communities that haven’t had the tools or resources to shore up the security of their voting systems in the past, according to Wyman. Currently, Washington’s National Guard is one of the only units in the country to have a dedicated cybersecurity division. Despite these efforts by state officials to bolster election security, many federal lawmakers remain concerned that some states will not be sufficiently prepared to defend against a possible election interference campaign in November. These legislators argue that it will take a coordinated effort between security officials at all levels of government to protect the nation’s voting systems from future cyberattacks. In the meantime, however, the updated security measures that have been adopted in states like Minnesota and Colorado could serve as effective blueprints for election officials in other states to follow as well. At Honest Ballot, we’ve been helping organizations like school boards, labor unions and student governments hold secure, reliable elections for more than a century. To learn more about the state-of-the-art voting systems we use, give us a call at our toll-free number today!